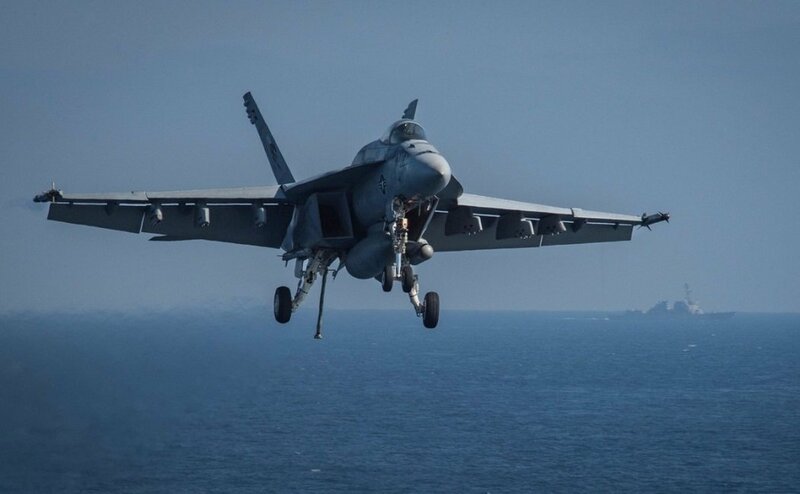 SOFIA, Bulgaria (BulgarianMilitary.com) – The U.S. proposal of Boeing F-18 Super Hornets for the new Bulgarian fighter has been disqualified as a non-responsive bid. This was stated in an interview by the Bulgarian Deputy Minister of Defence, Atanas Zapryanov, who added that the Boeing’s offer was incomplete and structured only as an intend, learned BulgarianMilitary.com. Having in mind that the appointed committee of experts has refused to consider and evaluate Boeing’s F/A-18s bid, now Bulgaria selects between Lockheed Martin’s F-16s, Swedish Gripen fighters, and Leonardo’s second-hand Eurofighter jets. It is a known fact that the real competition will be between the first two offers, given that the representatives of the Bulgarian government have repeatedly stated that they want to buy new fighters for the Bulgarian Air Force. Another thing that Atanas Zapryanov revealed in his interview is that the conclusion of the contract will be delayed as there are no longer any set deadlines for the completion of the project. In regard to this, he commented: “We decided to use the positive experience of organizations such as NATO and the EU – if you want to achieve a good result, you do not have to set time parameters but to set quality parameters. We do not want to rush at the expense of the offers’ quality, we want to work as long as it is possible. Of course, as quickly as possible, but still do not restrict the participants to give us the maximum information we need.” Then, he emphasized that there are parameters for which, if the information is missing, bids cannot be further considered and evaluated. Bulgarian Deputy Minister of Defence pointed out that the first expert committee, which was in charge with the analysis of the proposals, has already completed its work and has identified what additional information is needed, without rating the offers, because the group has no such obligation. Now the second political-military group, consisting of deputy ministers, will negotiate with the bidders in order to persuade them to provide all the necessary information and to improve their bids. The final decision will be political. Bulgarian Defence Minister Krasimir Karakachanov also officially confirmed that the Boeing offer for new F / A-18s has dropped out and now the appointed committee will evaluate the other three offers, however he did not state any time parameters for the selection of a contractor.